Photos from the October 8, 2006 Fall Colors Scooter Tour. We traveled 94 miles from Berea, passed Baldwin Wallace College, to Chagrin Falls, and on to Hiram, with a loop through Hiram College. Along the way we stopped at an apple orchard and for lunch in Aurora. Then back to Berea. There were scooters from a 50cc Honda Cub up to the 600cc Honda Silverwing. Participants included members of the POC Yahoo! 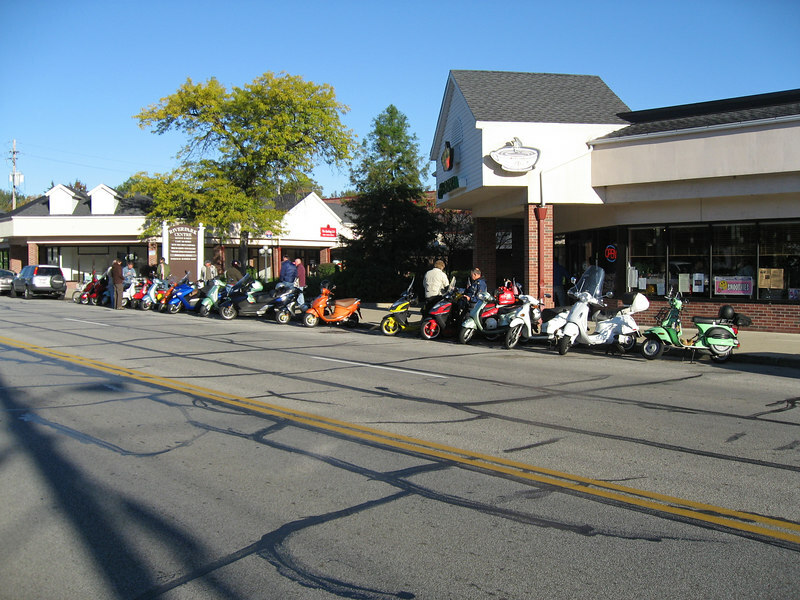 forum and Vespa Club of Cleveland. The weather was perfect, with the morning in the mid-40s, and in the 70s by mid-afternoon, and sunny all day. It was a great ride, and a big thanks to Tim for organizing, and everyone for attending!